"A Hundred hearts would be too few to carry all my love for you"
Do you want this in your digi collection? then do go to www.digistamps4joy.co.za/eshop and grab them as they are free for 3 days. Just open an account if you are not a member already and add it to your cart and checkout. But do hurry as they will be available only for 3 day and always lookout on first friday of every month for a freebie. 1. 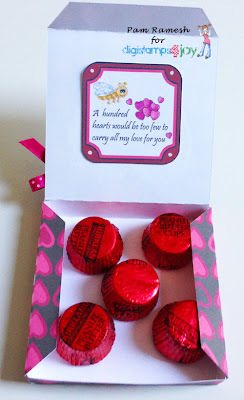 Using BOTH freebies, create a project for Valentine's Day - one requirement - must be a registered store customer. Both entries will go into a draw for 5 images from the store!!" So look in the shop or blog for more details. What a beautiful creation! LOVE the flowers and the amazing patterned paper you used! Thanks for joining us this week at Inkspirational--hope to see you again next week! that would be a lovely gift! thank you so much for playing along with TSC! This is fabulous-a great idea and I do love the digi and the chocs look so tempting in this box! Thanks for joining us at Inkspirational. What an adorable gift this will make - love those sentiments Pam TFS. Beautiful! That truly is a sweet sentiment. 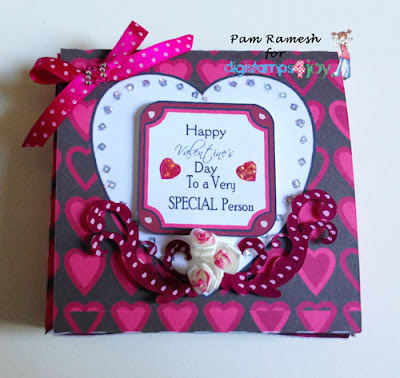 Your tag and box is a great idea for Valentine's day. 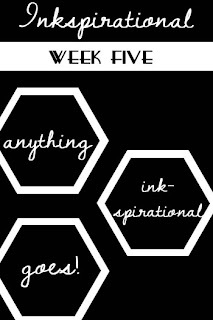 Thank you for joining us at Inkspirational this week! this is so creative and fantastic! What a lovely Valentine's gift you have created Pam! The colours are just gorgeous. Thanks for playing along at Inkspirational this week. This is gorgeous. Thank you for sharing with us at Ruby's Rainbow. What a great gift! This would be a very happy valentine. Thanks for sharing at Baffies and good luck.